After defeating the Elite Four and becoming the newest Champion of the Kanto Region, the Post Game Storyline will begin within the game. This starts with your Rival informing you of strong and mysterious Pokemon found within the region - hinting at Legendary Pokemon - specifically one found in Cerulean Cave. By heading to this cave just north of Cerulean City, you will finally earn access to it since you are now the champion of region. Deep within Cerulean Cave, the Legendary Pokemon known as Mewtwo, the strongest Wild Pokemon found in the entire game, can be found and captured. After Catching Mewtwo and leaving Cerulean Cave, your Rival will again appear. He will notice that you indeed captured Mewtwo, mentioning how both he and another trainer were hoping to catch Mewtwo before you ultimately did. 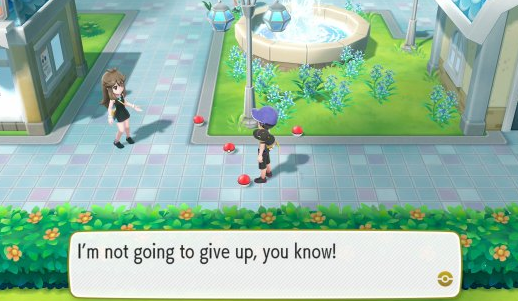 He will then tell you that this female trainer is probably still somewhere in Cerulean Cave. 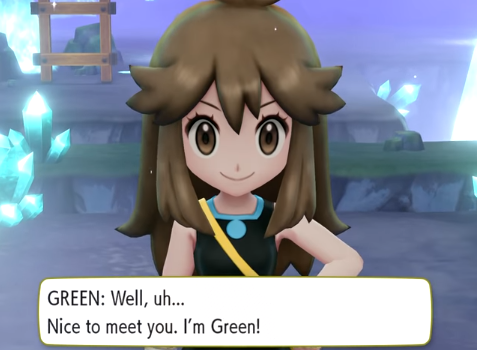 By heading directly back into the cave, you will quickly find said character, the same who is none other than the Pokemon Trainer known as Green (the female protagonist option from the First Generation Pokemon Games and Manga Series). After defeating her in Cerulean Cave, Green can be found by the Cerulean City Bike Shop. With this, you can challenge her to a battle each and every time you defeat the Elite Four again. Her team will remain the exact same as when in Cerulean Cave, including the same Pokemon and at the same levels. 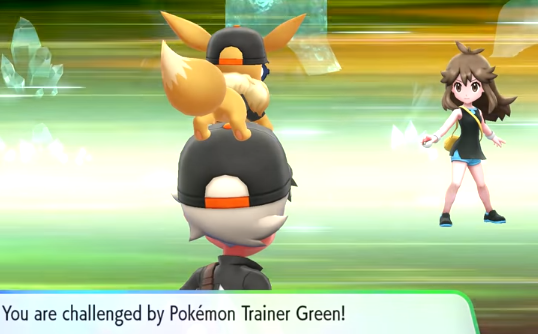 Outside of earning Pokemon Experience and Money from said daily battles, there are no further incentives for defeating Green in a rematch.